To anyone who's obsessed with the '90s — and who isn't these days? — your ultimate '90s boy crush was always going to be Leonardo DiCaprio. I mean, who else, right? Leonardo DiCaprio in the '90s, as evidenced by Leonardo DiCaprio at the Golden Globes in the '90s, was a total babe of a human. Obviously he still is, but, you know, #nostalgia. Personally, I'd totally still go for DiCaprio right now. The man's a catch in any era. Although the Golden Globe Awards' red carpet is a bit more formal than the party that goes on at events like the VMAs — where folks wear full curtains and open shirts — that doesn't make his appearances at the Golden Globes any less great. 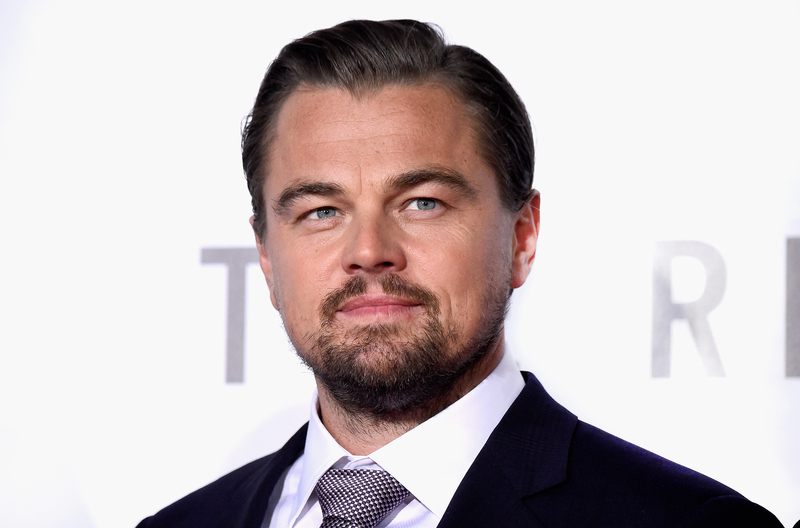 Leo first showed up on the Golden Globes' red carpet in 1994 for his role in What's Eating Gilbert Grape , followed by his 1997 appearance for Titanic , and he has since been treating the ceremony with high sartorial esteem. Considering that DiCaprio was 19 when he hit the carpet for Gilbert Grape and my own age at his appearance for Titanic, I'm kind of feeling pretty old right now. He just looks so youthful and beautiful that it hurts. Yeah, his beauty is undeniable, even before those signature blonde curtain locks that I could've sworn he'd rocked for all of the '90s á la Growing Pains. I'm also really into his outfit. Not everyone can rock a three-piece suit with such a wide lapel. Clearly it takes only Leo to pull it off with a plain white button-down and a sugar sweet smile. Just check out the difference in 20 years of DiCaprio's gorgeousness. I don't know which I prefer more. If I hadn't been a 1-year-old in 1994, then I definitely think we should've been rocking the red carpet together all this time. That being said, 1997's Titanic appearance was all the evidence we needed that DiCaprio was the most beautiful man of the decade. As a proud bisexual, I have to say that Kate Winslet almost, almost, beats DiCaprio for hottest person of the '90s. Thankfully, the Titanic era meant the two basically came as a pair. So glorious. Now that this throwback complete, I must say I'm absolutely ecstatic to see what 2016's DiCaprio brings to the red carpet for his The Revenant nominations.